Girl this co-ord is perfect for your weekend wardrobe. 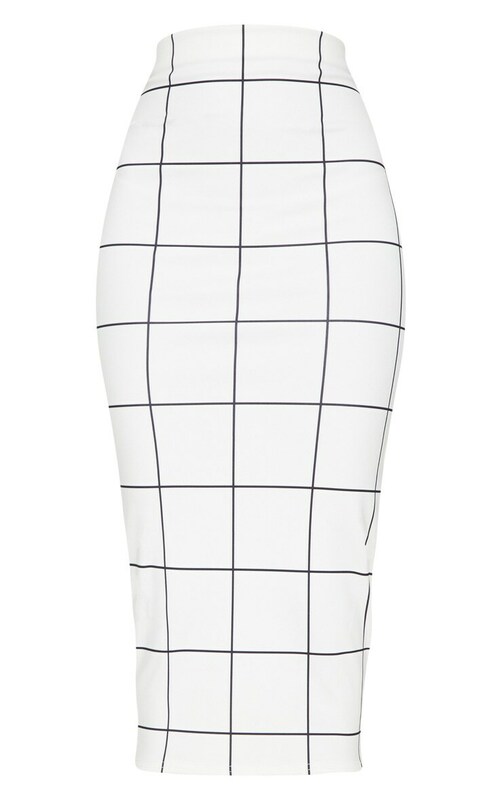 Featuring a white material with a black checked design, an elasticated waistband and a figure-hugging fit. 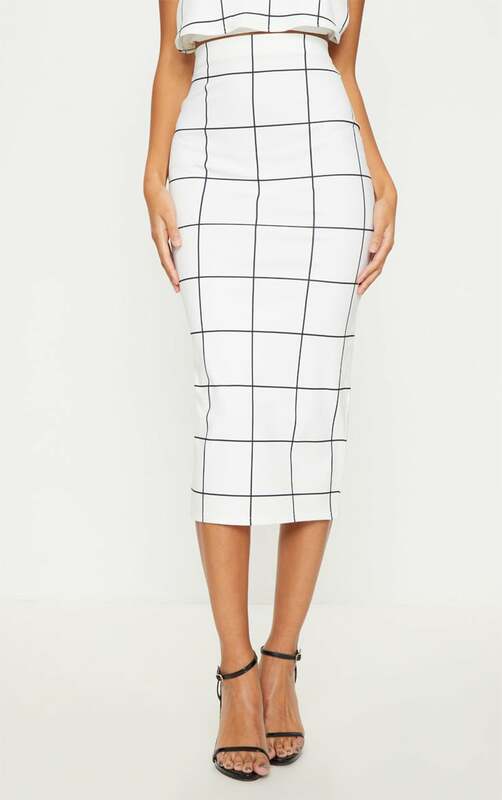 Style this midi skirt with the matching top and strappy heels for an occasion worthy look.